To celebrate a great year, I’ve worked on a free novella called Miss Chance. It’s pretty special to me because it was the first thing I wrote after I decided to get serious about becoming a writer. It’s been through many different forms and I’ve learned a lot since I started. It continues to teach me (about the challenges of self-publishing this time), but I hope you’ll enjoy it! It’s available at Barnes and Noble, Apple (and at Amazon but not for free), but Smashwords has all the formats you might need so here’s the link: MISS CHANCE. If you could take a minute to write up a review wherever you like to buy or read books, I’d really appreciate it! Andi could see Jackie’s beady, excited eyes over the top of the crowd. He was standing on the bench he’d pulled over to block the door to the diner. Andi would need to get that fixed pretty quick or she and Jackie would both be on the mayor’s hit list. Andi stifled a heavy sigh as she looked at the crowd of “suspects” and decided it would be easier to go along with Jackie at this point. 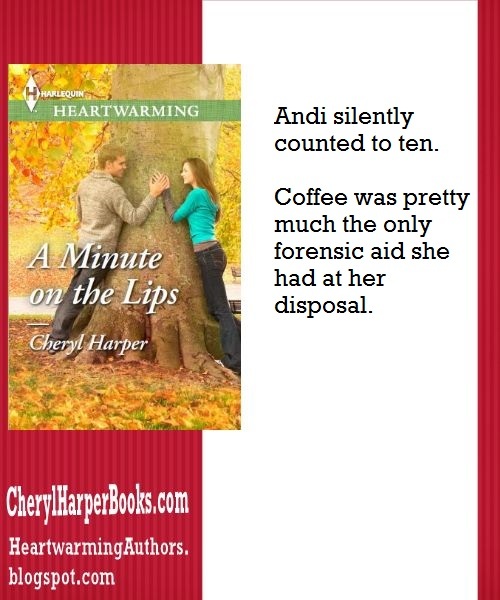 He wasn’t going to like that her forensic investigation would be sorely lacking. She could take fingerprints and get some photos, but considering the crowd that went through the diner, unless she found something really out of the ordinary, she’d have a hard time calling anything she found evidence. Thanks to television, everyone expected her to have a crime lab, a source at Homeland Security and a psychic in her back pocket. In most cases, Andi’s resources were limited to her powers of observation—which were pretty good. She was also lucky to work with talented deputies. For almost two years, they had been enough to stay on top of petty crime, not-so-friendly disputes, domestic violence calls, small drug busts and general safety concerns in Tall Pines. No laboratories needed.